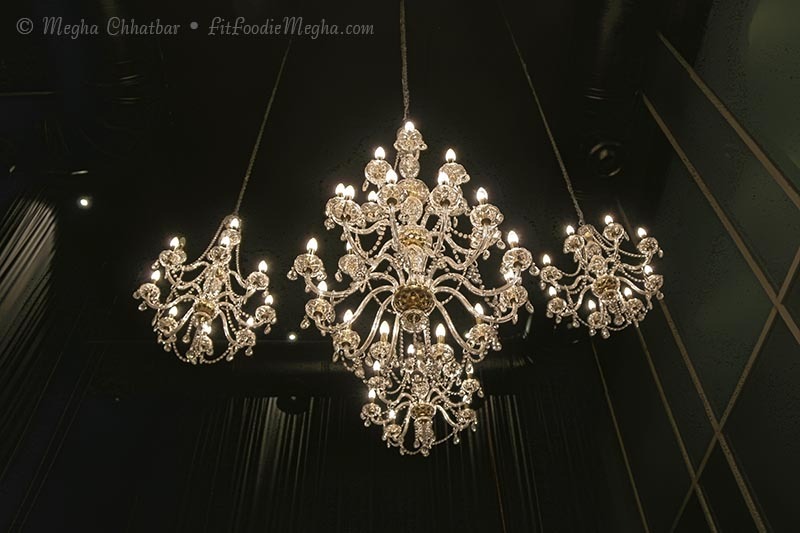 Fit Foodie Megha: The House of Medici, Westin Pune – Everything Lavish — Reviewed! The House of Medici, Westin Pune – Everything Lavish — Reviewed! The House of Medici, Westin has replaced the popular Kue bar and for good reasons. I was quite excited to know about the history and the story behind the place. The House of Medici replicates the royal feel of dining which was historically done by the rich Italian banking family turned royal house. Their wealth and influence were most reputed one and so is this all new culinary destination! 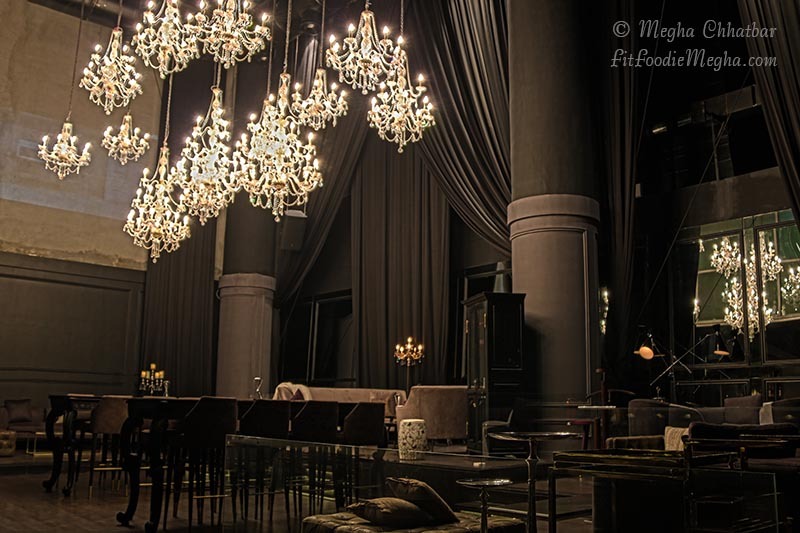 As soon as you enter the impressive hall, the first thing you notice is majestic chandeliers, along with huge black curtains, comfortable sofas, painted roofs, long bar area, wooden floor, grandeur Greek sculptures, small wood fire area which makes the place quite lavish. The staff is dressed alike mime artist to create uniqueness. The elegant décor, heart thumping live performances and the piquant contemporary menu makes this an ideal destination to celebrate life every day. Just feel the place, I would say! We chose to start with some yummy mocktails, which were prepared by proactive, smiling Kishan, the bartender. One can choose from an extensive range of drinks from Smoked to Legends to Classic. I had the Castello which was the nice concoction of Pineapple juice, mint, ginger juice, lime. Nice, bit sweet, though. The munchies - Steamed Edamame and Veg chips were addictive and paired well with the drinks. The food menu is limited to appetizers, mini meal, and desserts but it is a perfect blend of modern day international cuisine along with the signature dishes. After some talks with the Chef Rishi Verma, I was glad our meal was planned with his choice of dishes. We started with the first appetizer - Achari Kumbh, a mushroom preparation, mock of galaouti kebabs. Super soft, flavourful, medium spicy and delicate. They were served along with the coriander and mint along with some fresh flowers for the freshness. Recommended! I was quite skeptical to try the Imli Karela (obvious reasons)! But this was the star dish of the evening. Crispy deep fried bitter gourd (Karela) tossed in sweet, tangy, spicy tamarind paste. Flavourful. Highly Recommended! Ciabatta Invloltini was next. I had a different visual of it - the usual ciabatta. But this was Pepper fricassee stuffed in bread and pan fried, presented beautifully with onion tomato salsa. Medium spiced filling, crunchy bread outside is what you can expect from this dish. Cute small envelopes of flavours were presented on the table and thy named it Jalapeno Empanada. Onion, Cheese, Jalapeno stuffed in soft shell empanada served with pesto sauce. Again a plate full of surprise. One bite and the taste buds are tantalised. I would have loved if jalapenos were more (I like it spicy). Overall a wonderful dish. I was really looking forward to trying Mapo Tofu. A classic Sichuan dish nicely made. It is supposed to be spicy and it was. Fried Silken tofu poured with peppers and bean sauce topped with some micro-greens and scallions.Spice of all the ginger, pepper, garlic was evident. Loved it. Recommended! A graceful plate of another main course, Vegetable Skewers with Chilli Mash. All exotic veggies like Broccoli, Cottage Cheese, Olives, Corn was marinated in perfect spice and grilled to perfection. To balance the dish was potato mash with the bit of chili flakes over which skewers were placed. Lovely presented dish. that I could not resist eating it. It was wiped in a couple of minutes! A must try! Highly recommended. An evening to remember. Do try it for some lovely cozy time with friends and family. Worth visiting! And also big shout out to the House of Medici especially Manmeet, Arpan, Kishan and team. Do check out some more pictures and share your thoughts in the comment box...:) Would love to read from you!